Need help with buying or selling a park home? Josiah Hincks Solicitors in Leicester can assist you in the either the purchase or sale of a Park Home. Park Homes are sometimes referred to simply as “pitches” but are technically mobile homes. 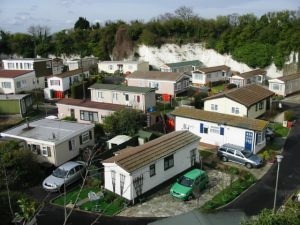 Park homes are designed to be lived in permanently, although they can be “leisure lodges” usually where the site is close to a usual holiday destination. It is important that a process is followed which is set out in European Regulation known as The Mobile Homes (Selling and Gifting) (England) Regulations 2013 (“2013 Regulations”). When selling a Park Home there are prescribed documents which need to be provided to the buyer under the 2013 Regulations. Our Park Home Lawyers have experience in dealing with Park Home Sales and Purchases from a legal perspective. Provide a copy of the Agreement and written statement between the owner and the current occupier. Provide a copy of the pre-commencement rules. (The rules which the owner has created for the site). Provide a copy to the buyer of any charges on the property. Provide a copy of any valid warranty, if applicable. Provide the buyer will the sale price and details of any commission that may be payable. It is vitally important that you comply with the above examples and further requirement, otherwise you may find that you are in breach of the law. If you require advice and/or assistance in buying or selling a park home please give us a call. Our Park Home Conveyancing Solicitors will be able to set up an appointment where we can provide you with legal advice and discuss the requirements you will need to follow to be legally compliant.